A recent study published in La Vie Immo ranks the 9th arrondissement of Paris as the best one to live in, mostly for its commercial life and its public amenities. However, it’s a district that has some work to do with regard to green spaces. For those not fully familiar with the way in which Paris is divided, the 20 administrative districts were set out in 1859 under the reign of Napoleon III. They’re referred to as arrondissements because they are laid out in a “rounding” manner, making a clockwise spiral beginning in the middle of the city on the Right Bank. The greater the number, therefore, the further out the district is, as a rule. It would appear that people buying or renting in Paris take a long hard look at the environment around their proposed abode. According to a recent survey, 15% of potential buyers first carry out detailed research on the area where their proposed property is, even before looking through the advert and photos on the internet. When making their choice, Parisians tend to prioritise commercial life and private services (supermarkets, pharmacies and specialised doctors), public services (hospitals, post offices, schools…), security, public transport and green space. The property information sharing site Apimka took these five most-valued criteria and rated the different arrondissments according to each one to find the overall winner. And it’s the decidedly posh 9th that wins the overall poll. 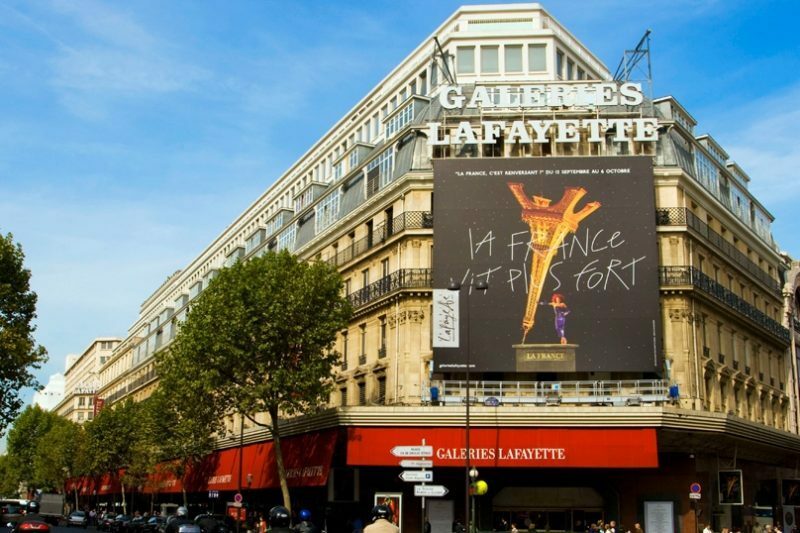 It doesn’t contain the Eiffel Tower or the Arc de Triomphe but it does have some superb shopping and excellent public services, according to the survey. Boulevard Haussmann is, of itself, considered the most important commercial street in all of Europe, with 120 million visitors per year and 400,000 m2 of selling square footage – 10% of Paris’ total retail floor space. On the down side, Parisians from the 9th don’t feel particularly secure in their district and the lack of green space hasn’t escaped their attention either. There is only 0.24m2 of green space per inhabitant in this district. This is well below the Parisian average of 14.4m2 per citizen. The Mairie (town hall) of the 9th is committed to improving this figure, however, with the a number of new initiatives on the horizon, including the creation of new squares and innovations such as “vegetated walls” and more roof gardens. Other arrondissements that ended up being highly rated by Parisians were the 10th and 11th. Even though neither of them scored particularly well in any one category their overall scores were strong, with their inhabitants feeling more secure and enjoying more green space than their neighbours in the 9th. With security having become an issue of greater importance than before, it’s worth noting that it is in the 15th arrondissement that inhabitants feel the most secure. The 4th scored best for public transport (it has 3 metro lines – 1, 7 and 11 – and 14 bus routes) and the 1st was the greenest zone in the City of Romance. This latter arrondissement boasts the Jardin des Halles, the Jardins des Tuileries and the Jardin du Palais Royal; totalling an impressive 16.87ha (42 acres) of green space.